When the weather grows warmer, the zoo and its conservation partners release butterfly pupae along the Oregon Coast. "We have a passionate and dedicated butterfly team and they are truly making a difference for the wild populations," said Travis Koons, who oversees the zoo's butterfly recovery efforts. "If not for this program, three of the four remaining silverspot populations would probably be extinct." The Oregon silverspot was listed as threatened in 1980, and population numbers have declined continuously over the past three decades. Today, just four isolated populations remain: three in Oregon and one in California. Wildlife biologists are working to establish two more populations, one at Nestucca Bay and another on Saddle Mountain — one of the few spots where early blue violet, the main food source for the caterpillars, still blooms in abundance. Each summer, female silverspots collected by field biologists with the U.S. Fish and Wildlife Service and U.S. Forest Service are brought to the zoo conservation lab to lay eggs. The eggs hatch into tiny caterpillars, which are kept safe at the zoo over the winter. So far, 2,100 caterpillars have hatched at the lab this year. In the spring, they wake up to a leafy meal, grow quickly and pupate. Then, when the weather grows warmer, the zoo and its conservation partners transport the pupae to field sites along the Oregon Coast to begin the cycle anew. 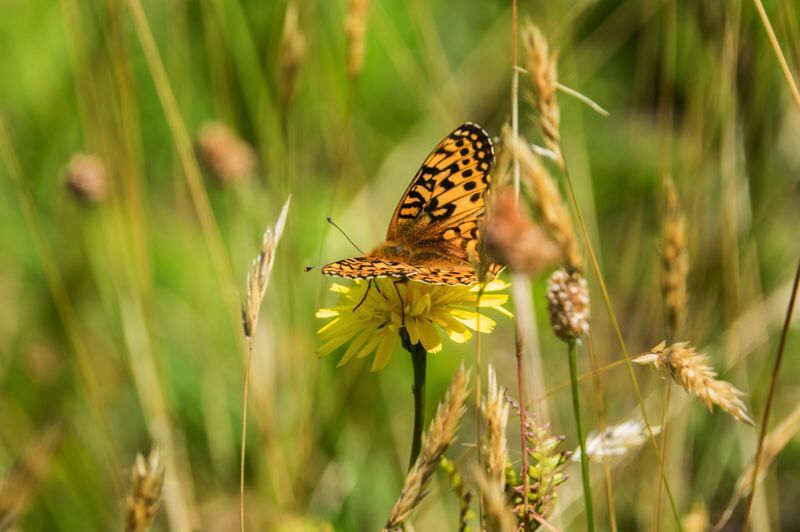 This past summer, more than 500 Oregon Zoo-reared silverspots were released among the grassy headlands and salt-spray meadows that make up some of the last remaining habitat for the butterfly.